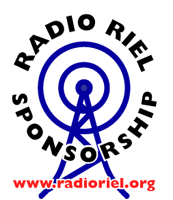 Don’t forget to listen to the show on one of the Radio Riel stations. The interview begins with Barbara talking about her early days as a sword and sorcerer fantasy novelist for Del-Ray Books and about her writing process. 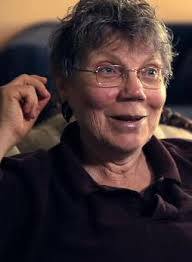 Some of Barbara’s early writings were works-for-hire for series such as Star Trek and Star Wars and mentions some of her favorites from those series such as Crossroads, Ishmael and Children of the Jedi. As someone who sometimes draws on cultural icons in her writing, she discusses the challenges of doing so. Simeon asks Barbara about her fantasy series The Windrose Chronicles and Sun Wolf and Starhawk. In particular, they talk about Barbara’s inspiration for characters and setting. We also discuss The Bride of the Rat God and how Barbara’s love of language lead to her character Jonathan Asher’s background as a philologist. Many of the authors we interview choose to self-publish their backlist. Barbara chose a different direction and explains why choosing Open Road Media was a better option for her. 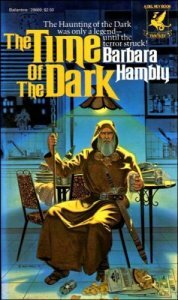 E-books lead into a discussion of cover art – some work, some don’t and some feature American beer. Visuals lead to Barbara’s work on graphic novels. She mentions her first experience working on a graphic story with Neil Gaiman on House of Dreams. Moving onto Barbara’s current series, we talk about James Asher and her old school vampires. She doesn’t romanticize vampires; they are very dangerous. She makes some great points about the nature of people who are willing to become vampires and their tendency to be control freaks after they have been turned. Barbara’s Benjamin January series features a free man of color as a detective in the pre-Civil War, American South. This set up provides Barbara with an opportunity to expose readers to a time and place many are not familiar with, as well as creating some unusual boundaries for a detective. 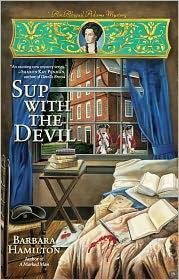 Barbara is writing a second detective series, this one featuring the historical figure Abigail Adams, under the pen name Barbara Hamilton.